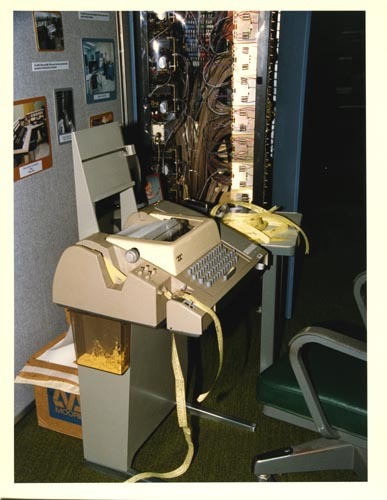 Color image from LLNL Computer Museum exhibit of aTeletype machine. The machine has punched paper tape spilling out of the punch. To the right is a shelf with paper tape piled up. To the rear is a cabinet with covers removed to show wiring and components. To the left rear is a wall partition with labeled pictures.